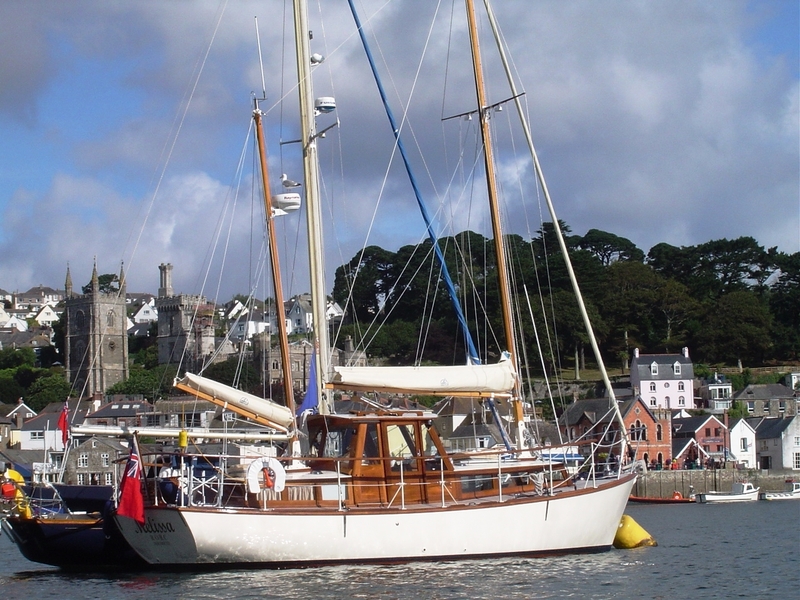 ‘Melissa B ll’ is undoubtedly one of the best examples available of this popular class of motor-sailer designed by the famous marine architect John Bain and built by Silvers of Rosneath. James A. Silver needs little introduction as one of the finest yacht yards of their day. 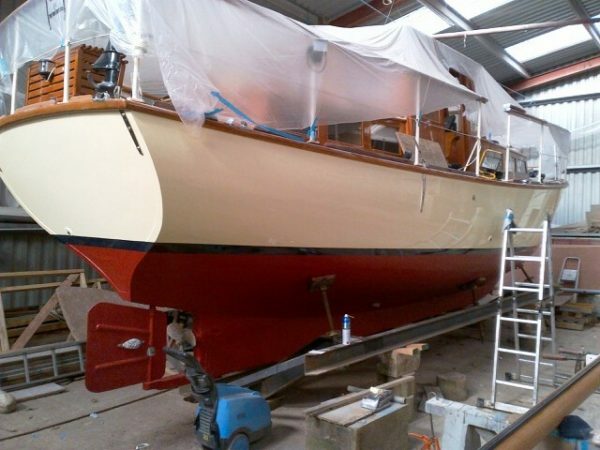 Established in 1910 they built a range of quality motor-yachts and motor-sailers until their closure in 1971. John Bain was a director and marine architect with Silvers from those early years until his retirement in 1957. 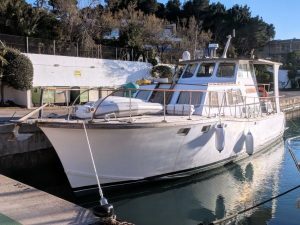 In the early 1960’s Silvers revised a 1948 Bain designed yacht ‘Silver Minx’ and produced a series of spacious fifty/fifty motor-sailers which they named the ‘Miss Silver’ class. 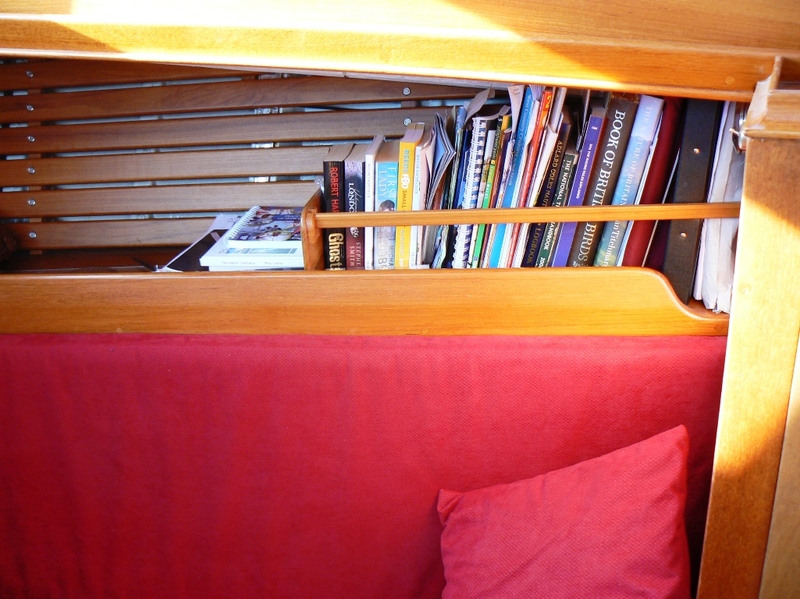 Many of these vessels have made remarkable voyages and several are in the Med. 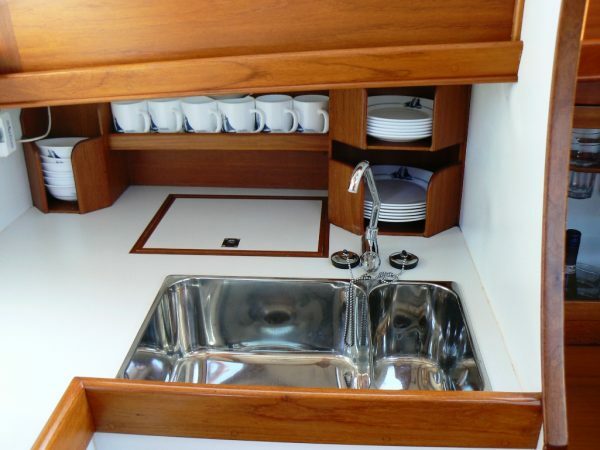 They possess a surprising turn of speed under sail and are weatherly capable passage-makers. 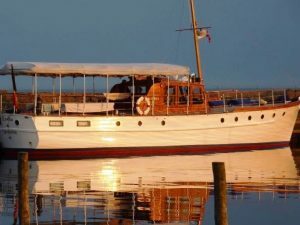 Melissa B ll is probably the best example of the popular Miss Silver class motor-sailer built by James A. Silver Ltd. of Rosneath, Scotland. 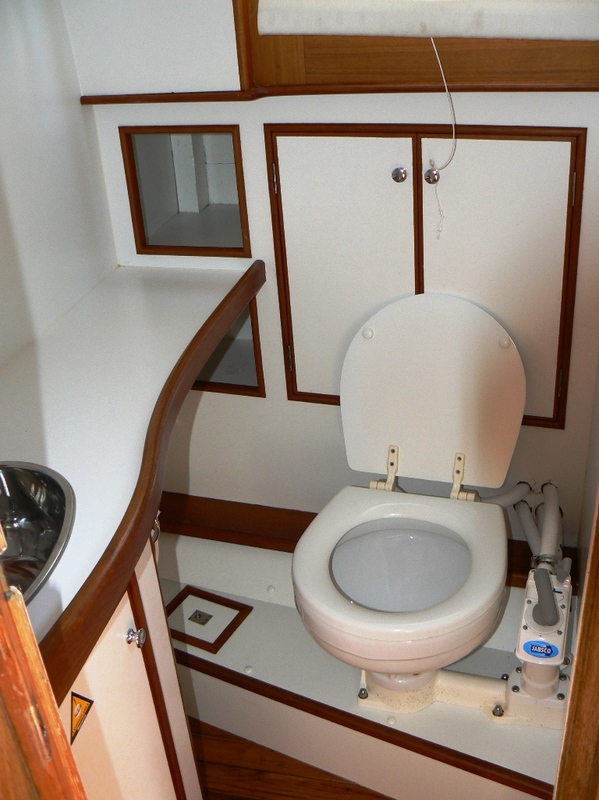 She is a comfortable vessel with 6″ headroom in the main cabin and wheelhouse and 5’10” in the aft cabin, 4 berths in fore and aft cabins and a heads compartment. 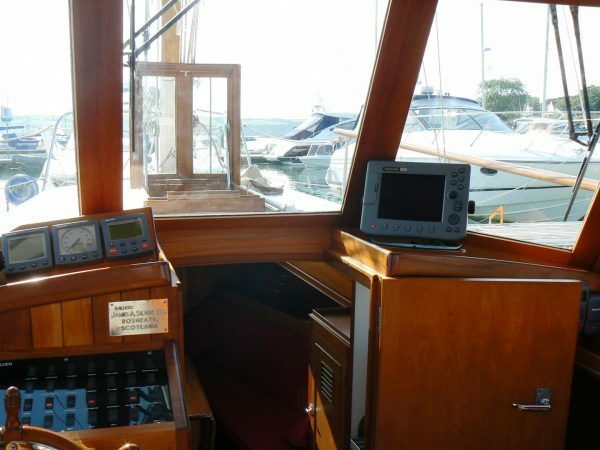 With her shallow draught, she is perfect for estuary and coastal cruising as well as longer voyages. Melissa B ll was extensively refitted in 2003 – 2005 by the renowned Ocean Yacht Company in Cornwall to a very high standard including a new teak deck and cabin sides. In her current 17 year ownership, Melissa B ll has been upgraded to her current beautiful condition. She turns heads and is the subject of many admiring comments. 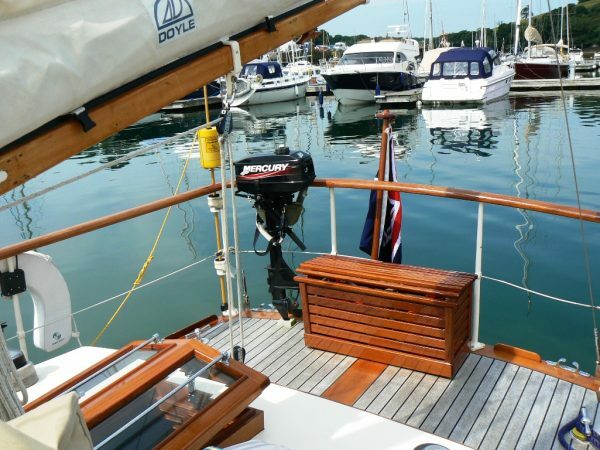 Carvel Mahogany planked hull, copper fastened to steam bent oak timbers. Teak laid decks, varnished teak superstructure. 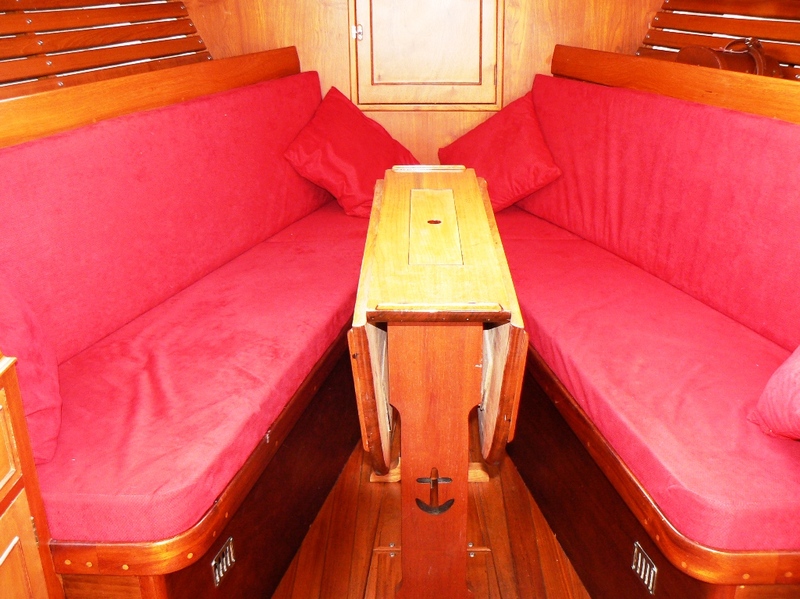 Long keel, iron external and lead internal ballast, steel plate rudder. 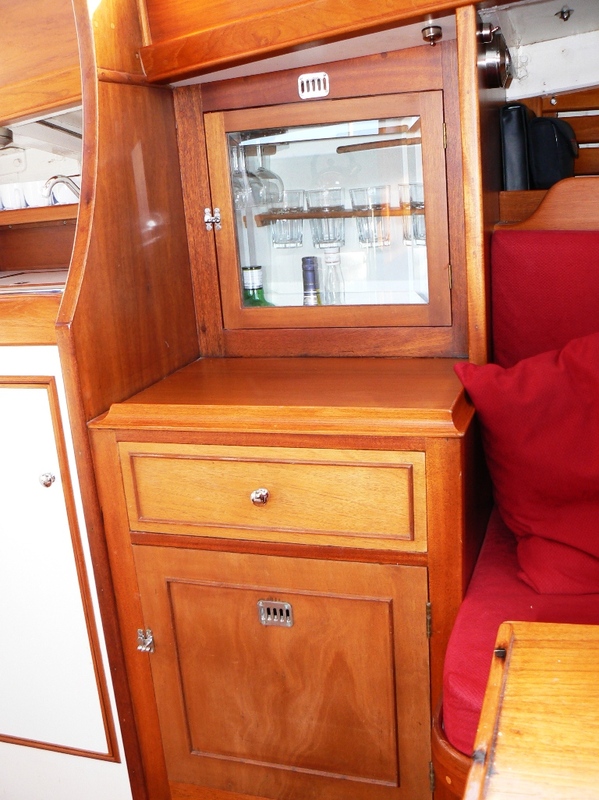 Saloon with two upholstered settee berths port and starboard with lockers behind and below with a bookshelf above. 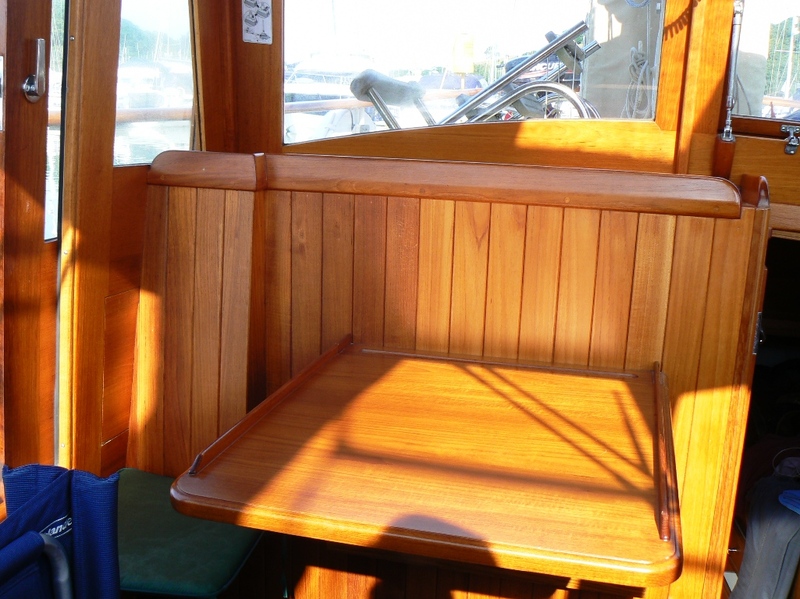 Drop-leaf cabin table, wardrobe, glass-fronted cabinet, cutlery drawer, coach-roof hatch. 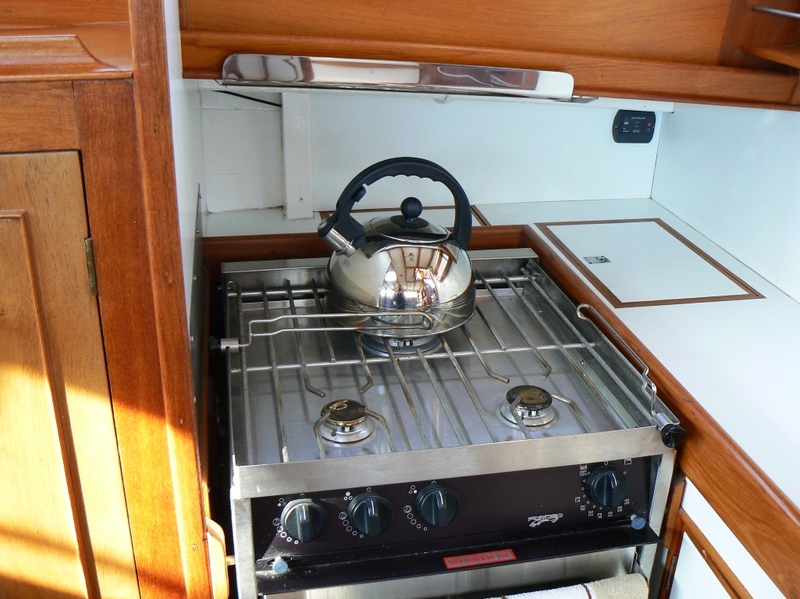 Galley with Force 10 three burner gas cooker having oven and grill, double stainless steel sink (h&c). Refrigerator with ice compartment. Crockery racks and lockers. 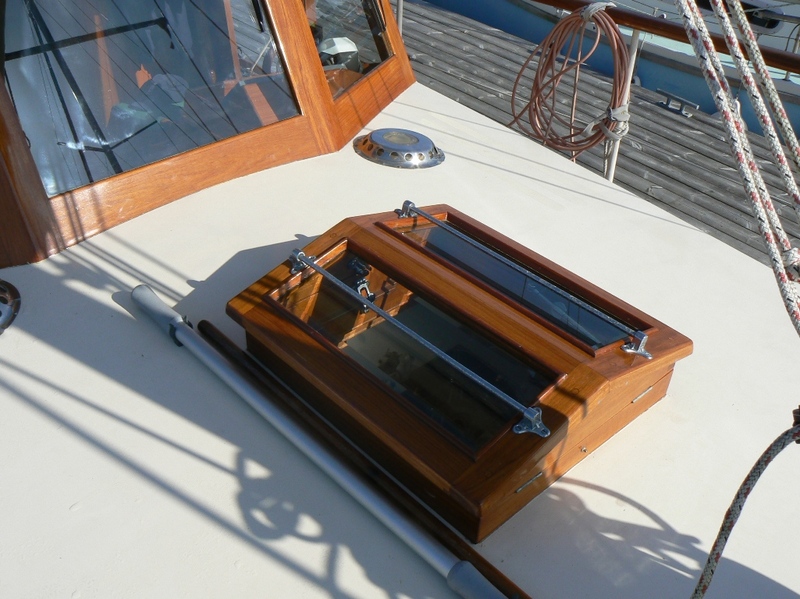 Echo Sounder, Log, Wind Instruments, also Compass, and EPRIB. 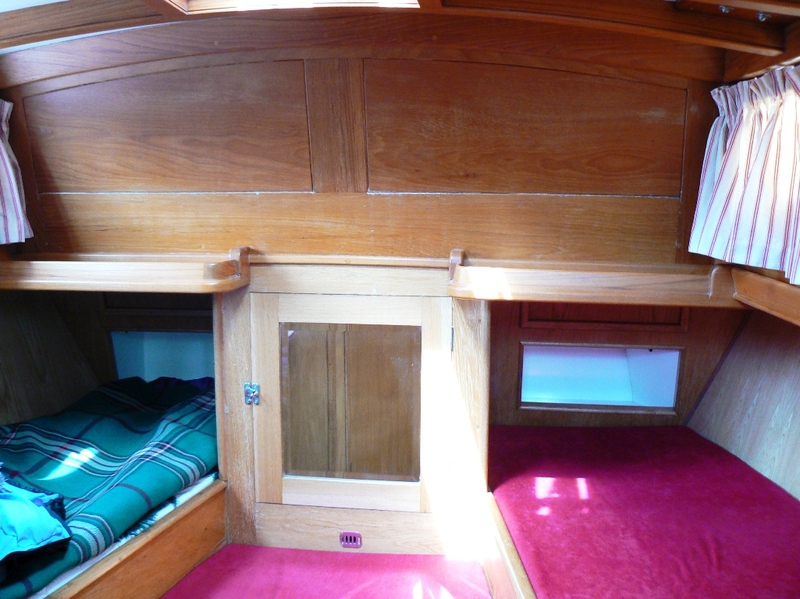 Seating, sliding side-deck doors, chart table and access beneath sole to the engine room. Beta Marine four cylinder 50hp diesel engine. Serviced every season. Two fuel tanks 40 gallons total capacity. Three blade bronze prop. Approx. 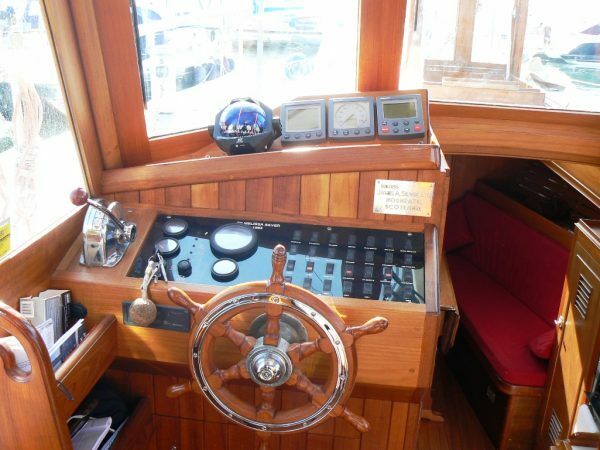 7 knots / 6 knots cruising speed. Two heavy duty 12-volt batteries Shore power. 80 gallons freshwater capacity in two stainless steel tanks port and starboard under the side decks with a hot water calorifier. Aft cabin finished in limed oak joinery with twin upholstered berths having drawers under, wardrobe, lockers and coach-roof hatch. Heads compartment with Jabsco marine wc, stainless steel washbasin (h&c) cupboards. 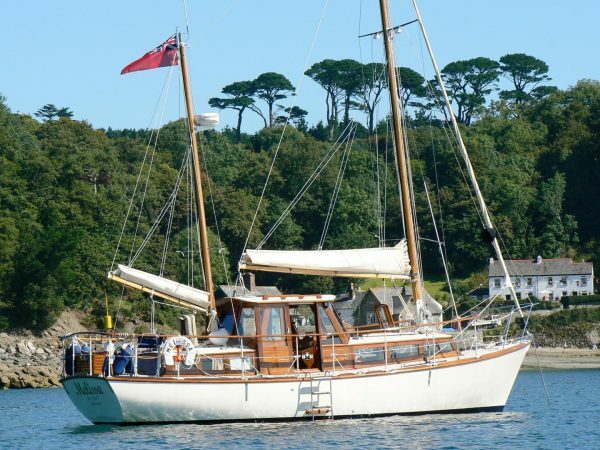 Masthead bermudian ketch rig with deck stepped Spruce masts (new in 2012 and 2013) and booms in galvanised tabernacles. Stainless-steel standing rigging. 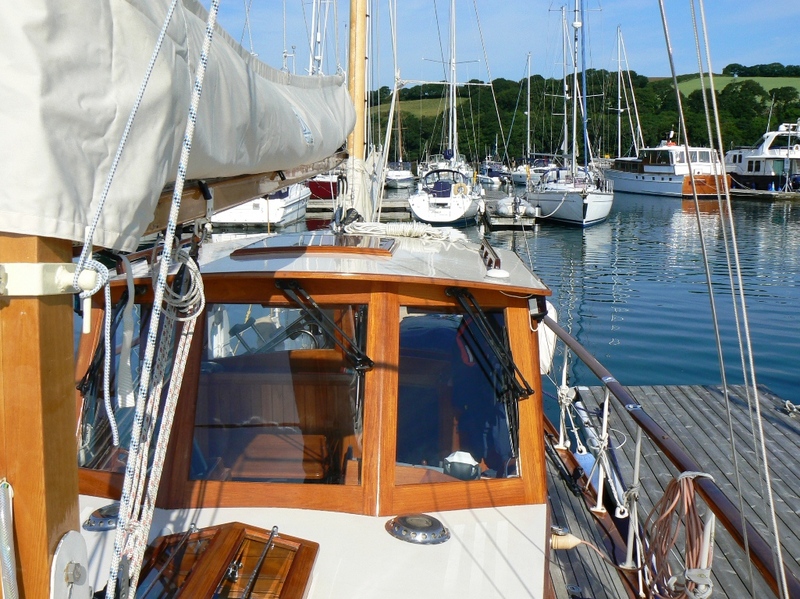 Cream fully battened terylene sails include main, mizzen, jib and cruising chute. Main and mizzen with stack pack and lazy jacks. 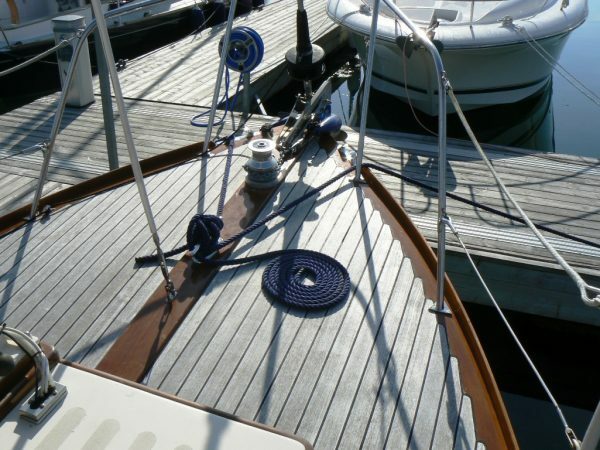 Harken furling headsail and Harken fittings throughout. Teak guard rails on stanchions and teak gas locker and seat on the aft deck. Stainless steel and teak boarding ladder. 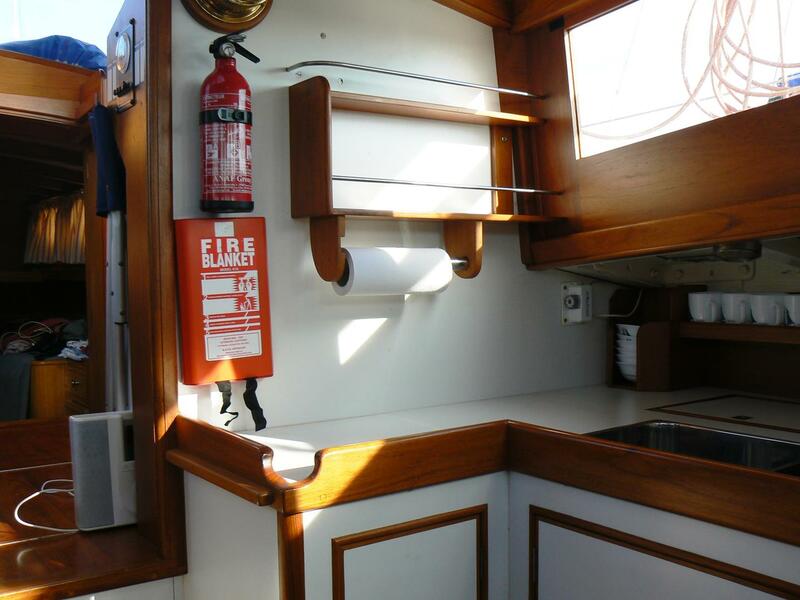 Lofrans electric anchor windlass, 120′ of galvanised chain. Bruce Bower and Fisherman Kedge anchors. 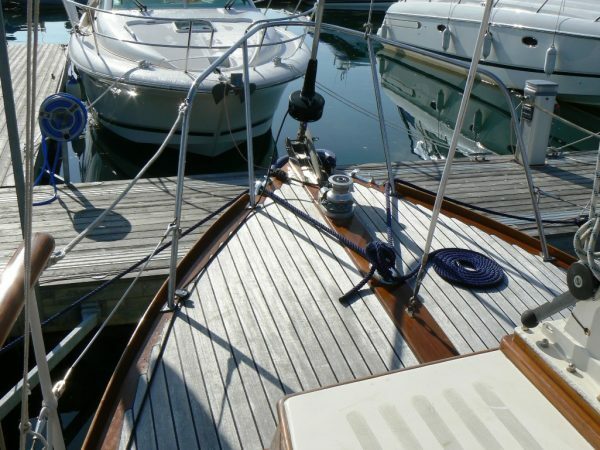 Twin bow rollers with a large mooring cleat on the foredeck. 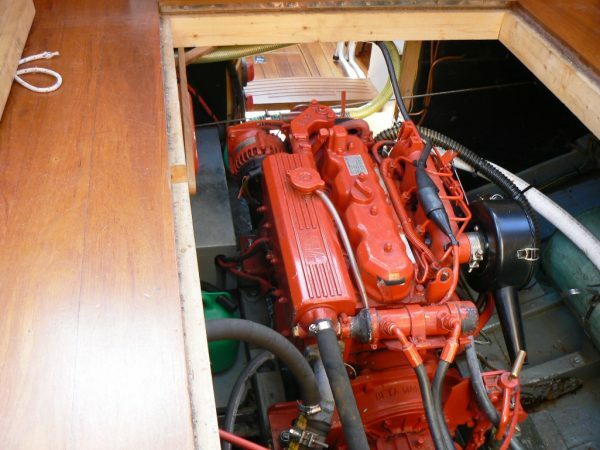 Two mooring cleats midships and two mooring cleats aft. 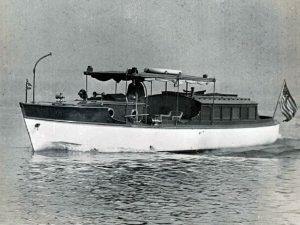 Zodiac dinghy with 3.3hp Mercury 2 stroke OB motor. Legs for taking the ground. An early viewing is advised to appreciate the ‘as new’ condition of Melissa B ll . Spectacular Cornish Marina mooring available on the River Fal.